We must understand that in order to get anything auspicious in our life we need the blessings of our ancestors from many generations who, after leaving their bodies, remain deeply involved with our karmic structure in a very subtle but powerful way. We owe an ancestral debt to them for which, we must perform the sacred ritual of Shraddha every year for the peace and contentment of our ancestors. However, it is seen that the life of some individuals due to some highly negative karmic structure from their past lives get affected by an ancestral curse. This ancestral curse is revealed after analyzing the individual's horoscope and is called- "Pitra Dosh". Pitra Dosh makes people experience hurdles or obstacles in almost all major endeavours of their lives, despite putting in genuine & enormous efforts. Because no matter how hard & diligently we try, unless we get rid of this ancestral curse, problems will not leave us. So, what should a person do to remove Pitra Dosh from his/her life? A person having Pitra Dosha must go for a Pitra Dosha Puja, which is a holy ritual of pacifying the ill effects casted upon his/her life. Pitra Dosh Puja results in the blessings of your ancestors, thereby removing all hurdles form life. Pitra Dosh Puja provides peace and contentment to the ancestors of a native which in turn, paves the way of a smooth & prosperous life ahead for the native. Therefore, we urge you to book a Pitra Dosh Puja to provide peace & contentment to your ancestors and get their auspicious blessings which are a must for living a prosperous, successful and blissful life. Pitra Dosh Puja results in removal of obstacles from life. Pitra Dosh Puja quiets the turmoil in the mind and bestows calmness & mental peace. Pitra Dosh Puja brings prosperity in life. Pitra Dosh Puja maintains harmonious relations in the family. 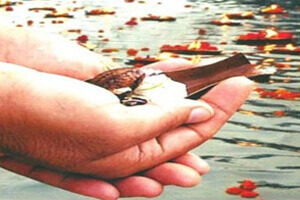 Pitra Dosh Puja removes all financial and monetary problems from an individual's life. Pitra Dosh Puja attracts energies that promote abundance of positivity in life. Pitra Dosh Puja attracts significant growth opportunities in one's professional life and promotes an upside in career. Pitra Dosh Puja protects a business from regulatory hurdles from the administration and unwanted & unjust competition in the market. Pitra Dosh Puja cures ailments that have been affecting the native from a long time and ensures a sound health in the times to come. Pitra Dosh Puja helps the native identify and cash onto a lucrative opportunity for investment at multiple times in life. Pitra Dosh Puja favours gainful ventures in the area of real estate or property. Pitra Dosh Puja promotes beneficial business travels both domestically and abroad. Pitra Dosh Puja on your behalf by highly learned Brahmin Priests to bring forth the auspicious blessings of your ancestors in your life by curing the Pitra Dosh in your life. Note: The Pitra Dosh Puja is performed in strict accordance with all Vedic rules & rituals as prescribed in the Holy Scriptures. Why should I go for Pitra Dosh Puja? Your ancestors are deeply associated with your karmic structure on a level of higher consciousness. Therefore, it is essential that they, on the level of higher consciousness, must always be peaceful & content and bestow their blessings upon you which will create bliss, happiness, success and joy in your life. Who will perform the Pitra Dosh Puja? Absolutely, you can watch the Pitra Dosh Puja being performed in your name via a recording provided to you by us. Is there any minimum age to go for Pitra Dosh Puja? No. Anyone can go for this Pitra Dosh Puja. Can I book the Pitra Dosh Puja for someone else in my family? Absolutely! What better gift can you give to your near and dear ones, than making sure that they get the blessings of their ancestors!